These just make me want to put on some driving gloves, slip on some goggles and go motoring through the UK countryside. 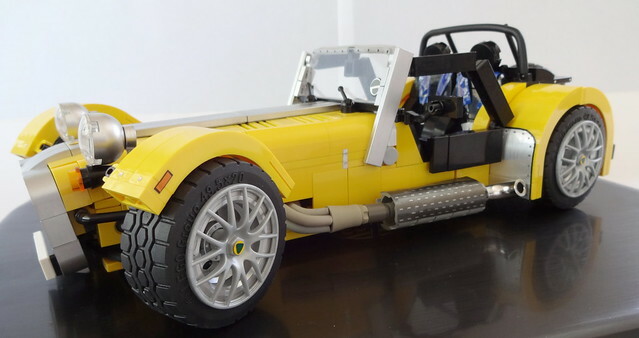 Car enthusiasts will recognize these beauties instantly as Caterham 7's, world renown for their small two seater form factor and Lotus heritage. They are masterfully recreated here by Bricktrix, so much so in fact that from a thumbnail, they look totally authentic.